Resogun made it’s 4S7P debut last year. It was a new game to me but it’s mechanics were well known. Resogun is a 21st century Defender, and they’re not hiding it at all. Thing is, I love Defender. I love it because it’s extremely hard…I’m a glutton for punishment. Resogun is much easier, and looks much prettier, but it’s still a blast to play. Jared and I squared off in a nail-biter last year, and while I lost the bout, I was happy with my performance for a first-time player. I’m looking forward to this rematch. I still don’t have Resogun at home, so I can’t practice at all, but it should be another close feud to watch. Last year on a whim Brian suggested we play Nidhogg and boy howdy it was fun and entertaining for all. So we’ve decided to bring it back again this year. For those unaware, Nidhogg is a 2D fencing platformer. I think that pretty much says it all. I think you’ll enjoy watching the hectic pace of this one. Stay tuned for more game announcements, format changes and more soon. 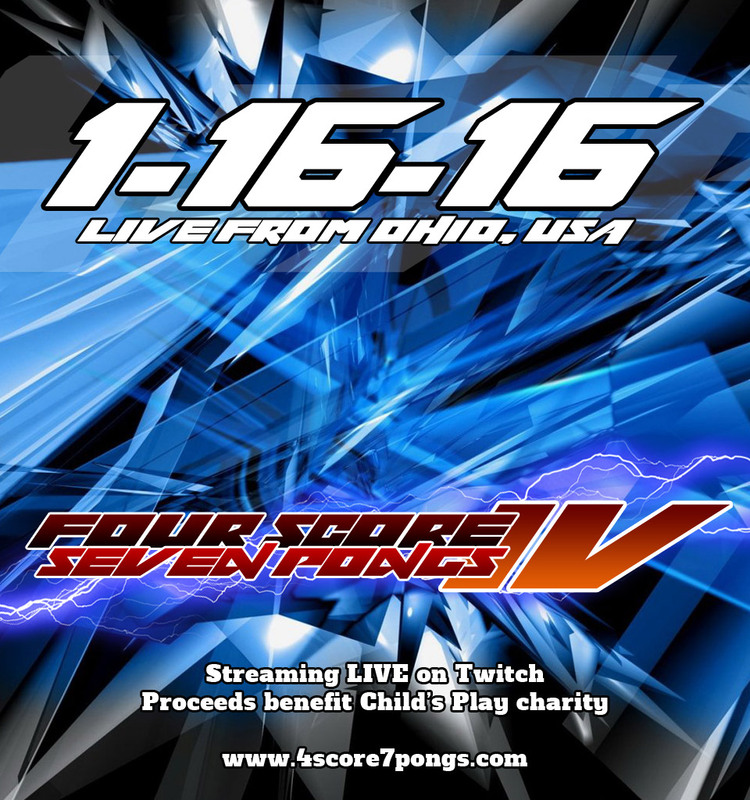 As was announced tonight, this year’s 4 Score & 7 Pongs Ago tournament will benefit Child’s Play. We want to raise $1000 and every little bit will help. So to help motivate and get the word out, I’ll donate an extra $20 for every person that prints out this poster, hangs it up where others can see it and then tweets a photo of it to @4Score7Pongs. Simple as that. Of course, you should donate yourself too as every dollar goes to a great charity. 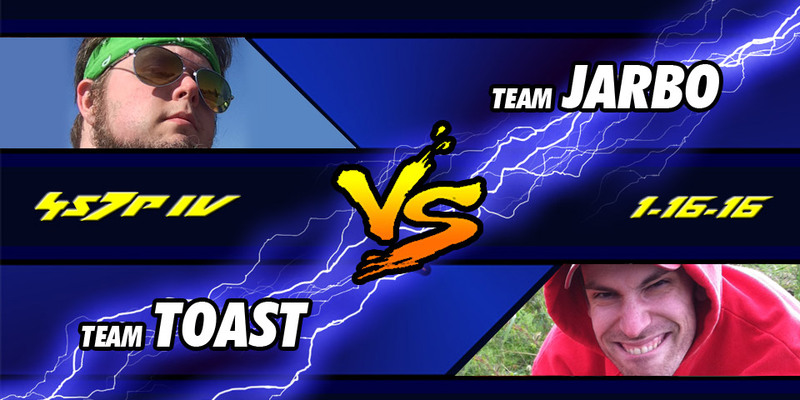 There are two battles going on this January…the battle to crown the next 4Score Champion, and the battle raise $1000 for Child’s Play. We can do it! This upcoming tournament we’ve decided to change many things. One thing that I’d considered was making the day dedicated to a cause. With support and encouragement from others we’re going to give it a shot. We’ve set up a goal with Child’s Play, a charity dedicated to providing toys and games to children in hospitals. They work directly with hospitals in fulfilling wish lists. As a big kid myself, games have always been a part of who I am today and have brought me joy in ways I will always remember. As we go through the next month thinking of others and being with loved ones please remember some people aren’t that lucky and will spending their holidays in the hospital. We’ve set a goal of $1,000. I believe this is reachable but not without your help. I’m asking you to consider donating. There will be a donation widget on this post and our website all the way through our tournament and you can donate as early as today. We will definitely mention every single donor during our broadcast on January 16th. Please share this post with anyone you can whether they are a fan of video games or not. Anything you are willing to donate no matter how big or small will make a difference. Stay tuned for some game announcements, and other goodies very soon. 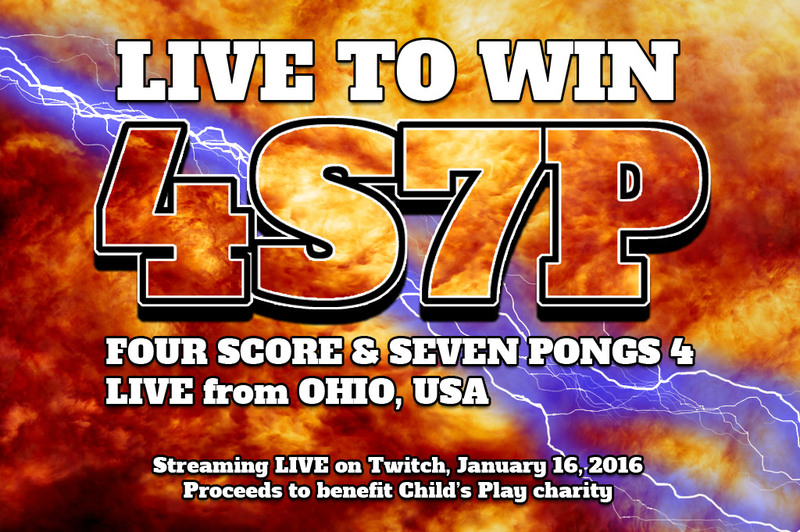 Official theme song for the 4S7P tournament this year is “Live to Win” by Paul Stanley. Play it loud, play it proud. Unlike past years we’ve secured a commentator for our tournament. Shawn Sines is a former reviewer of games for the Columbus Dispatch and GameFront. Currently he’s a local old man yelling at children on his lawn and complains about games with “wiggle and waggle” as he puts it. Shawn is still an avid gamer, and can certainly help add some insight to the strategies and history of the games played during the competition. Shawn will be adding colored commentary throughout the day and ensuring our Twitch broadcast goes off without a hitch. In past years the only commentary we’ve endured is Jared and Brian yelling at each other and then hours of silence. We are grateful that Shawn will be lending his time with us. Stay tuned for even more announcements. Author jarbochovPosted on December 9, 2015 Categories 4score7pongs2016Tags broadcast, commentator, host, shawn sinesLeave a comment on We Have A Host!